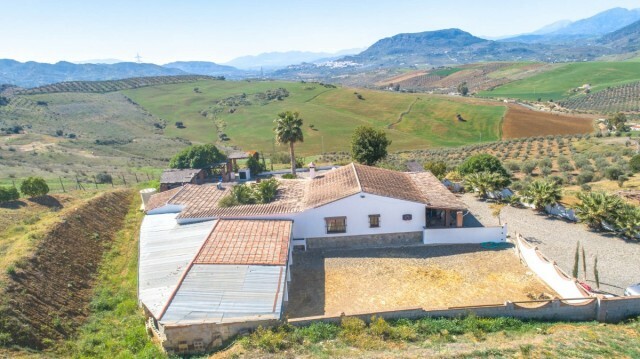 BEAUTIFUL ANDALUCIAN COUNTRY HOUSE WITH ACCOMMODATION FOR GUESTS AND STABLES FOR SALE IN ALORA Beautiful and spacious Finca with accommodation for guests and stables located on a hill with panoramic views of the mountain countryside and the village of Alora. 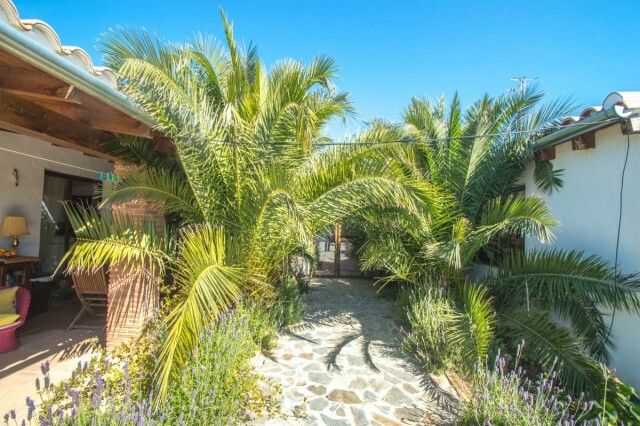 It is distributed in one floor as follows: Main house: Spacious living room with high ceilings, stove and dining area with access to the porch facing south. Modern and fully equipped kitchen open to the dining room and also with access to another porch facing west. 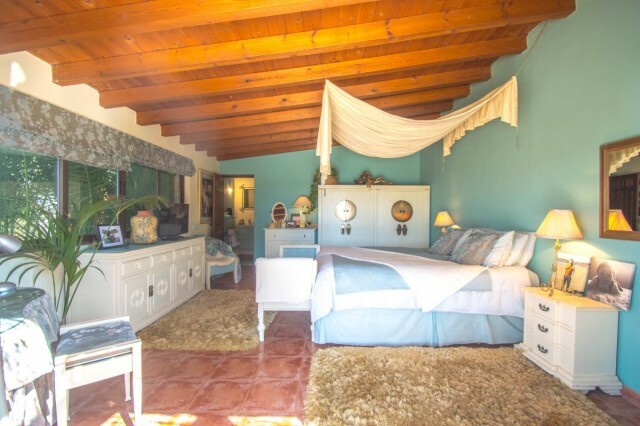 There are 2 double bedrooms and 2 bathrooms. 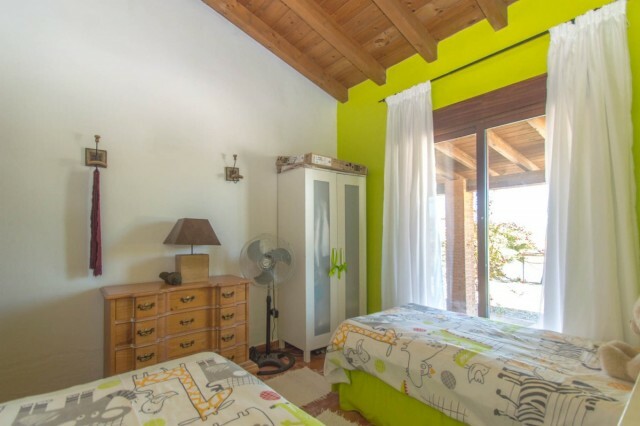 Master bedroom with a beautiful and elegant bathroom en suite that can also be accessed from the porch. 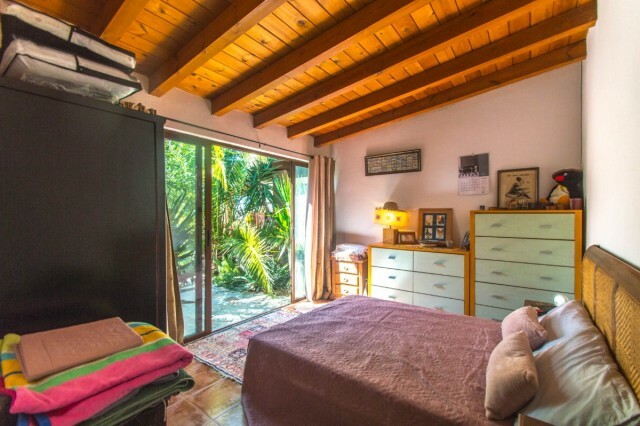 The second bedroom has access to the porch facing west. 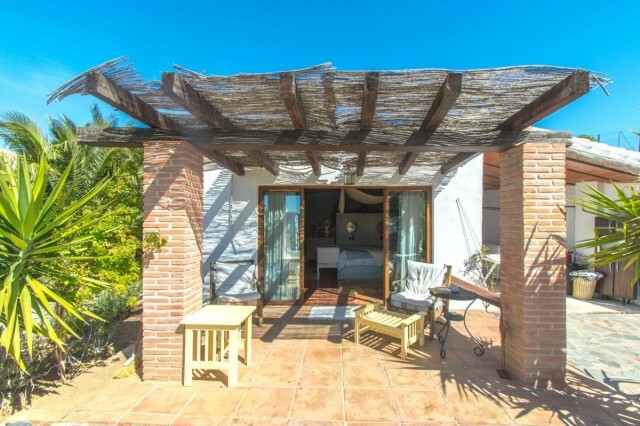 Both porches are spacious with rest areas and panoramic views of the countryside. 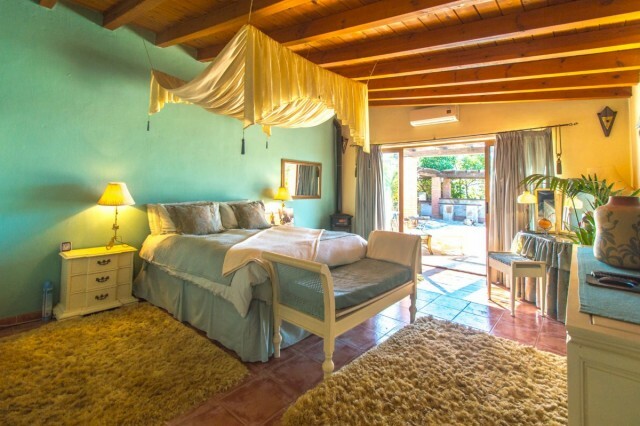 Accommodations for guests composed of 2 double bedrooms with independent access and both with en suite bathrooms and elegant entrances. 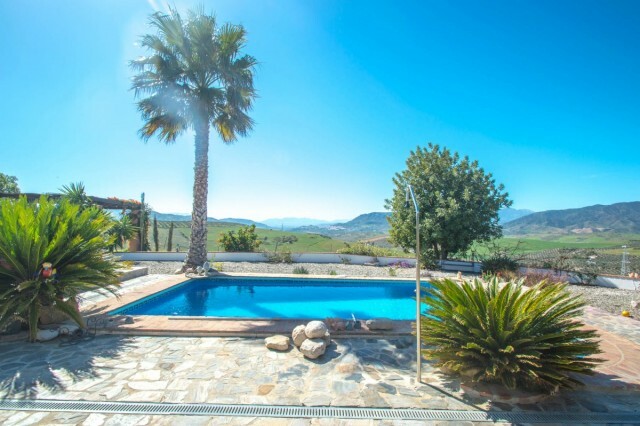 Exterior: Wonderful pool surrounded by sunny terraces with 100% privacy and tranquillity from where you can enjoy a splendid view. 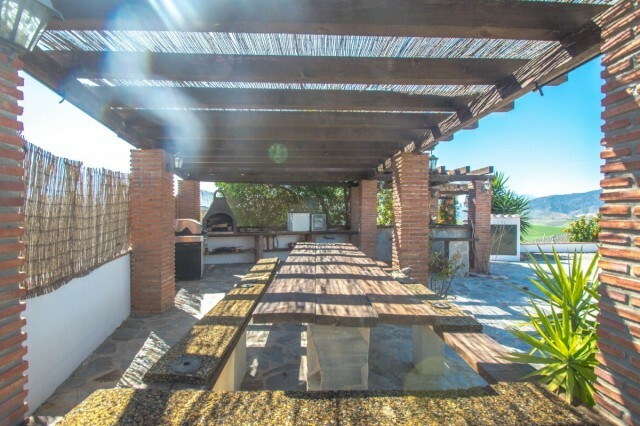 Large barbecue house with a pergola and a large table for several people and ideal for celebrations. 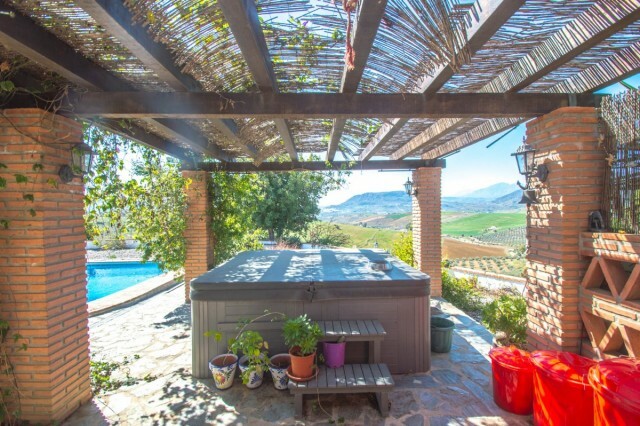 Jacuzzi covered by a pergola overlooking the village of Alora and the mountains. Laundry area. Large parking area for several vehicles. 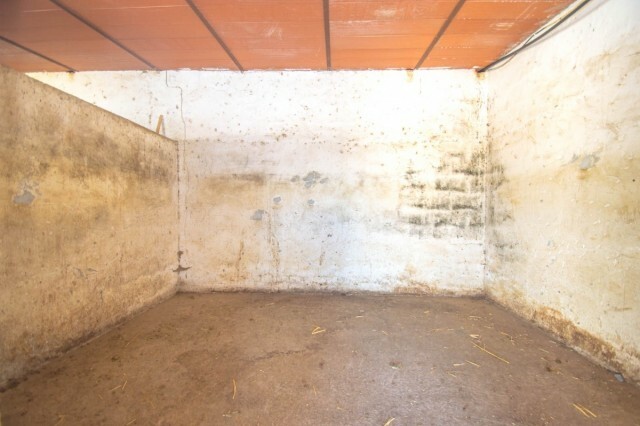 Horse area composed of 4 large stables and a large porch with a large riding area. 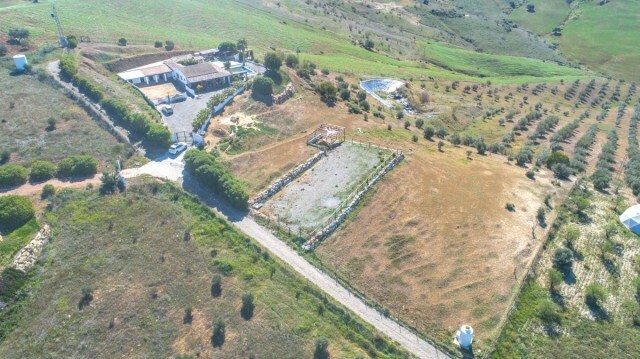 Plot fully fenced with a second larger riding arena. 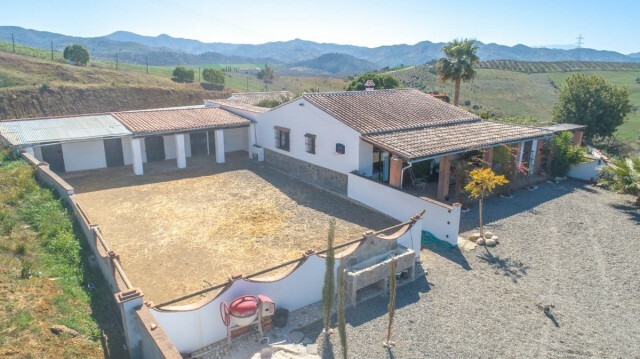 Property in good condition with double glazed windows and air conditioning, with very good access by road (only 500 meters of dirt road), connected to the Torcal water (the best potable drinking water), 2 water tanks (3.000 litres and 6.000 litres), electricity and internet. 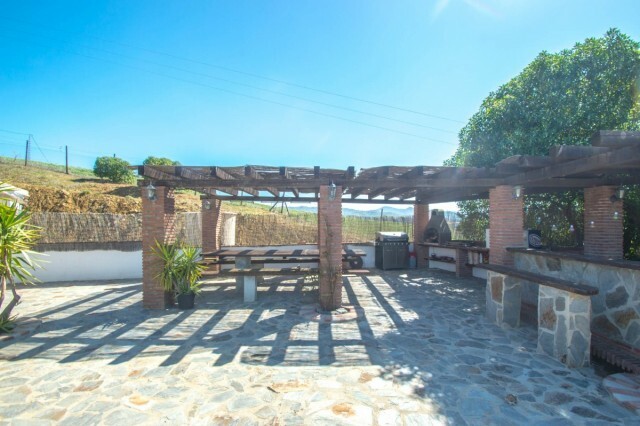 Very well located in an area very frequented by tourists who visit El Torcal and El Chorro which makes it a possibility of business as a rural B&B as well as horse lovers. 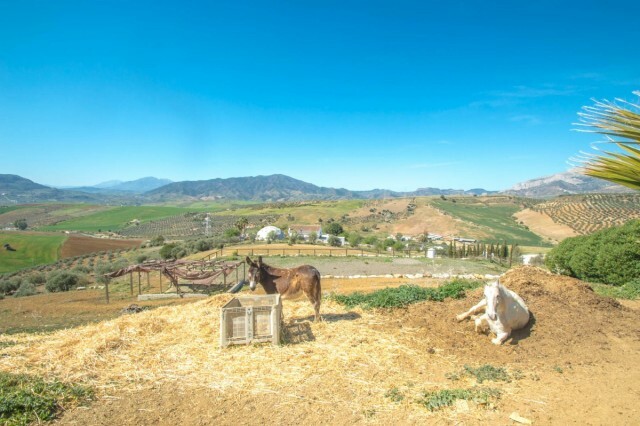 The Finca has a license for 5 horses called OCA license and the AFO certificate has already been presented!! 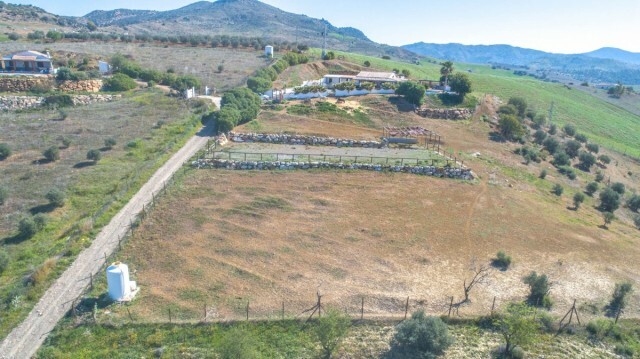 Plot 10.000m2. Total built size 386,65m2. Living area 168,58m2. 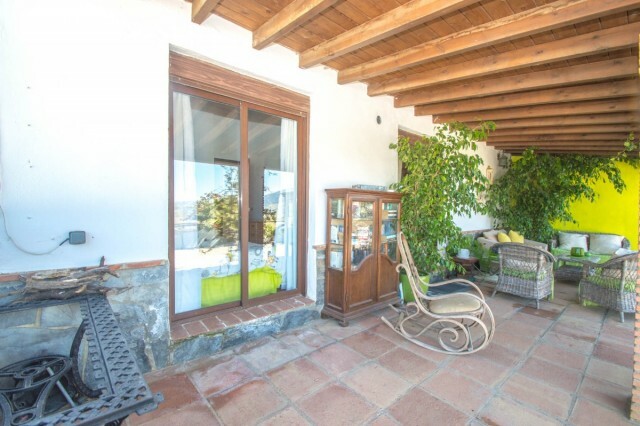 Porches 91,32m2. 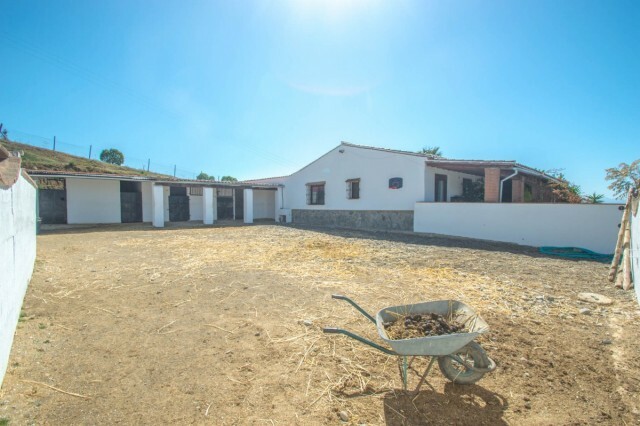 Warehouse-stables 96,22m2. 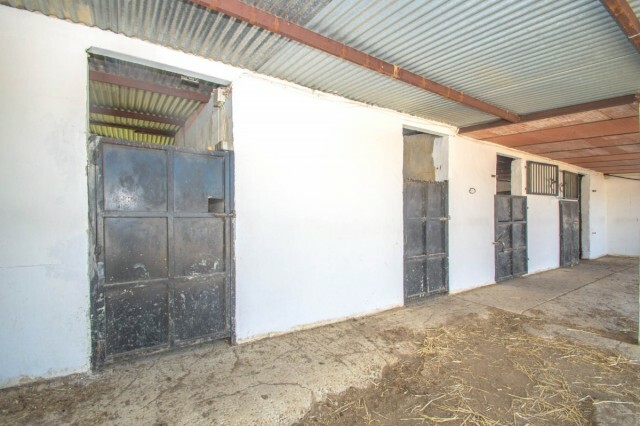 Porch of stables 30,53m2. 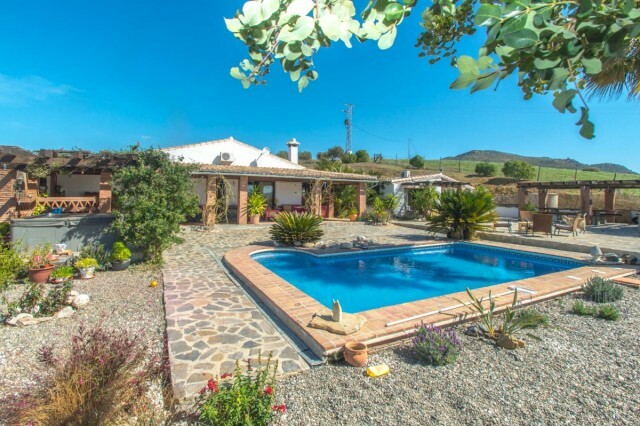 Swimming pool 32,70m2. Distances: Asphalted road 500 meters. Supermarket, bars, shops and restaurant 7km. Train station Alora 9km. Center of Alora 13km. 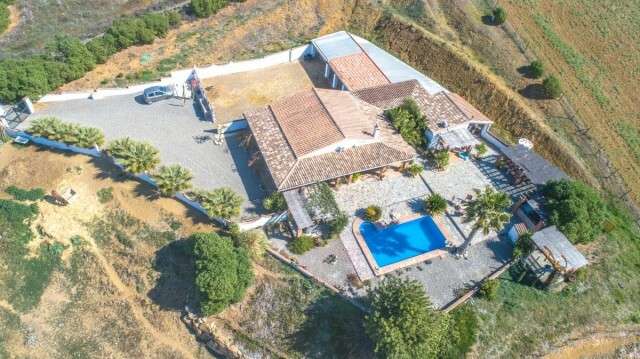 Malaga airport 51km. Torremolinos beach 53km.